Thanks Jackie! It is a really simple idea that can be executed lots of ways. Oh Katie, I adore this card! Who wouldn’t love an envelope bursting with love? Thank you for sharing such an amazing card! Thank you Pam! It was fun to make. Such a great idea! I would love to get an envelope filled with hearts, preferably chocolate ones. Oh chocolate ones would definitely be good! 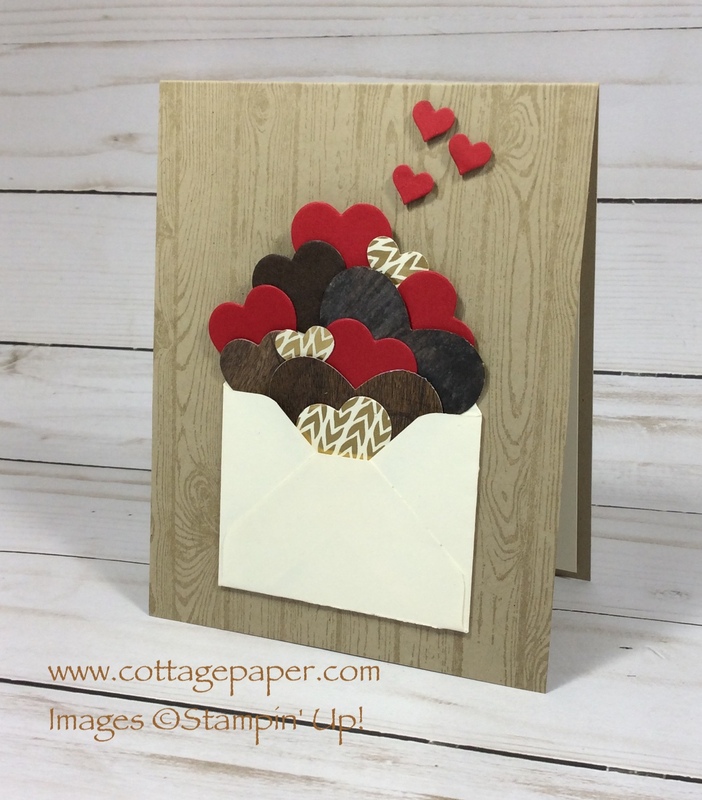 Marvelous mix of pretty hearts tucked in an envelope (with a few floating out) filled with love! Love how stuffed with love the card is! The color combination is perfect! I am always looking for fun Valentines, that don't require a stamp set, as I don't have any current ones. Using the envelope is so cute. And, I appreciate you telling us about the envelope calculator. I know I'll use that. I love this card! So much fun!